This video is for you to get an insight into the journey. The future is not written. It’s not preordained. It unfolds as a result of our action. It’s the choices we make and the risks we take. We kick start the journey in Antigua, an ancient colonial town founded in 1542. 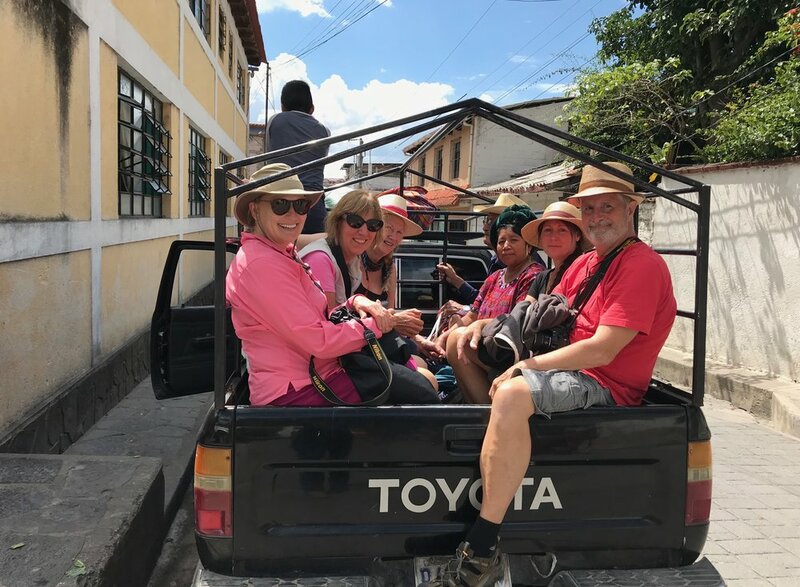 We’ll photograph and explore the ancient wonders along quaint cobblestone streets and enjoy lunch with a Guatemalan family. Guatemalans celebrate the passing of the dead on “All Saints’ Day” on November 1, rather than on Day of the Dead. We’ll join the fiestas in a nearby Mayan village to celebrate and photograph. You’ll have the opportunity to make pictures of people flying the colorful hand-crafted paper kites some as tall as a two-story building, try local food roasted outside and experience a Mayan graveyard. We can’t miss the place which Aldous Huxley described as the “most beautiful lake in the world”, Lake Atitlán. We’ll visit Mayan towns with women cooperative weavers and herbal medicines. What better way to learn to be better than in the field with a professional photographer who lived and worked in Guatemala? The goal of these photo trips is to make incredible photos and to spread goodwill. It’s all part of the journey of becoming a passionate and meaningful photographer. Our Photo Trip Vacations offer a casual structure of hands-on-learning, discussions and inspiration without tedious classroom lectures. Who Should Come? Those who are flexible minded and curious. We align ourselves with lovely local hotels and Guatemalan people to support the environment and the communities that we visit. Each hotel provides mountain views or waking up to the waves of the lake smacking the shoreline. Price- $2800 for 9 days and 8 nights. Private rooms for the trip are an additional $150 for the whole trip. On this trip breakfast in Antigua is included. You'll learn how to create travel and storytelling photography that is beyond the ordinary. Each day we embark on an excursion to beautifully dramatic locations to photograph against unique backdrops of the indigenous Mayan culture and landscapes. There are 21 Mayan languages and in the lake area there are 400 species of birds). Imagine hanging out with people from an ancient Mayan culture, photographing landscapes, people and have the option to hike up a mountain overlooking the lake. You’ll waking up to the gentle waves of a volcanic lake. You'll become a better photographer, storyteller and your own life will be forever touched by those we meet. We usually travel in our comfortable private van but this was a short ride to a village. Friends Antonia and Sherrlyn in Guatemala with an avocado and tangerines.